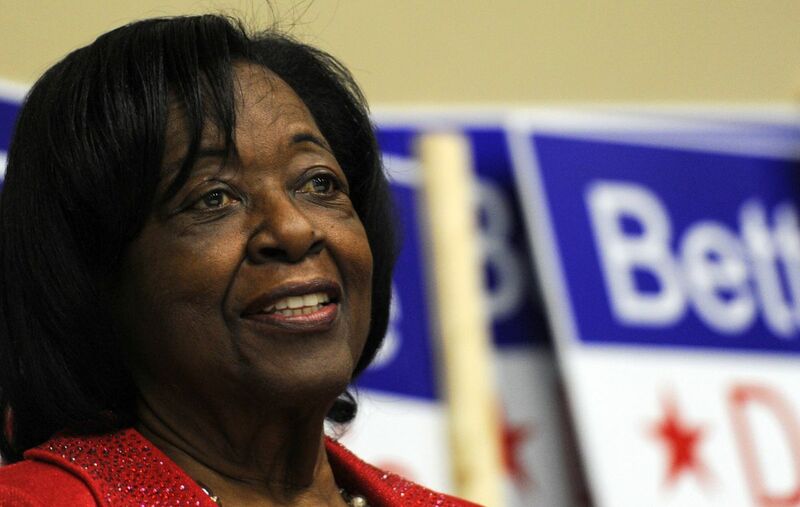 Bettye Davis has resigned from the Anchorage School Board, the board president announced Monday. Davis, 80, submitted her resignation because of her health and because she'd like to spend more time with her family, Starr Marsett, board president, said at the Monday evening school board meeting. Davis was not present at the meeting. "We certainly will miss her," Marsett said. "She has done so many wonderful things, not only on the school board, but throughout our community and state." Davis has served in the state Senate, the state House and as the chair of the State Board of Education and Early Development. She also previously served on the Anchorage School Board in the 1980s and 1990s. Davis' attendance at board meetings recently fell below what's required in board policy as she dealt with health issues, Marsett said last week. Marsett said Monday that the board would honor Davis at its Oct. 22 meeting. The crowd then stood and applauded Davis. Anchorage voters re-elected Davis to the seven-member school board in April 2016. Her three-year term would have ended in 2019. According to school board policy, the board will declare a board member's seat vacant upon acceptance of a resignation. The remaining board members then have 30 days to fill the spot. The process outlined in board policy includes advertising the vacancy, soliciting applications or nominations, interviewing candidates at a public meeting and selecting the new board member by a majority vote.